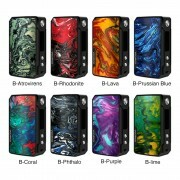 VOOPOO FINIC Fish Kit is a Fish-shaped Pod Kit with a 350mAh internal battery. The compact size, cute shape and Six illustrator styles bring a pleasant visual experience. Equipped with VOOPOO chip with intelligent voltage control. The 1.6 ohm coil brings a comfortable MTL Vaping experience and supports the use of Nic-Salt. It also comes with a leak-proof Side Filling system and a bottom airflow control system. 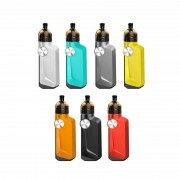 It is a perfect choice for users who like the MTL Vaping and high nicotine experience. ❤ Please read the user manual carefully before using this VOOPOO FINIC Fish Pod System Starter Kit. 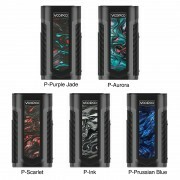 ☞ 6 months warranty period for VOOPOO FINIC Fish Pod.